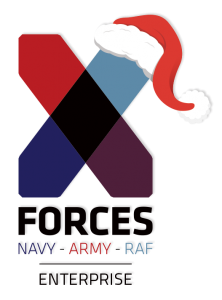 As we near the end of another year for X-Forces Enterprise (XFE), I took the opportunity to consider our achievements together and find many reasons to celebrate. 2018 has been an amazing year of celebration. XFE itself has won awards, we have celebrated the award triumphs of our beneficiaries and we have also presented awards to other deserving individuals. 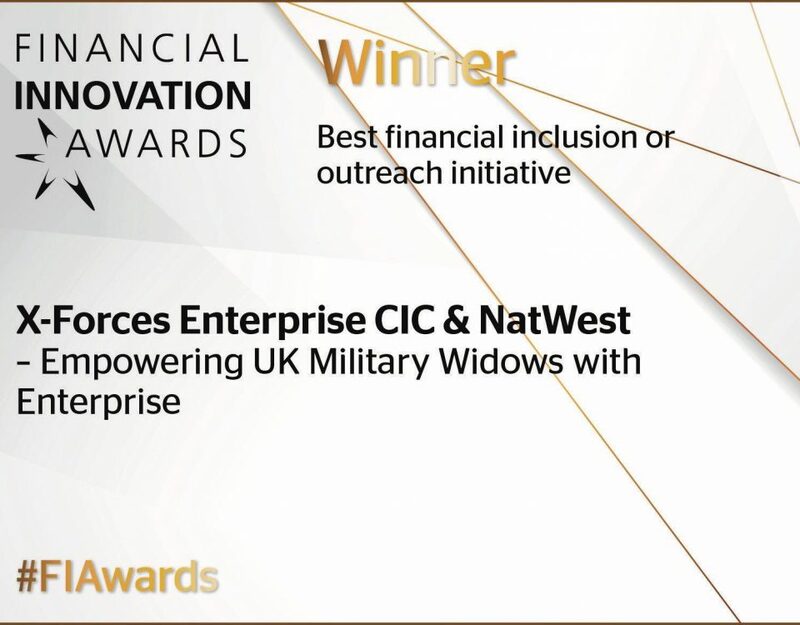 In an extremely proud moment, and a lovely way to end the year, our ‘Empowering Armed Forces Widows Through Enterprise’ programme in partnership with NatWest won ‘Best Financial Inclusion or Outreach Initiative’ at the Financial Innovation Awards. 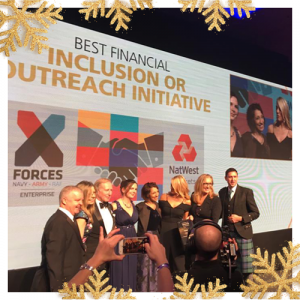 As a corporate partner to X-Forces we are both incredibly proud and passionate about this unique project which supports and provides enterprise training to UK Military Widows. It demonstrates the innovative approach of bringing key stakeholders together for the first time for the benefit of the nation, community and economy. This collaboration is an opportunity for us to give back to the communities we serve and to do what is right. 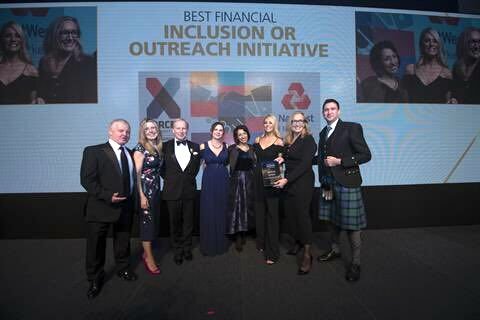 I am delighted X-Forces, and the driving force behind this – Ren Kapur – won the recent award of ‘Best Financial Inclusion Initiative’ at the Financial Innovation Awards. 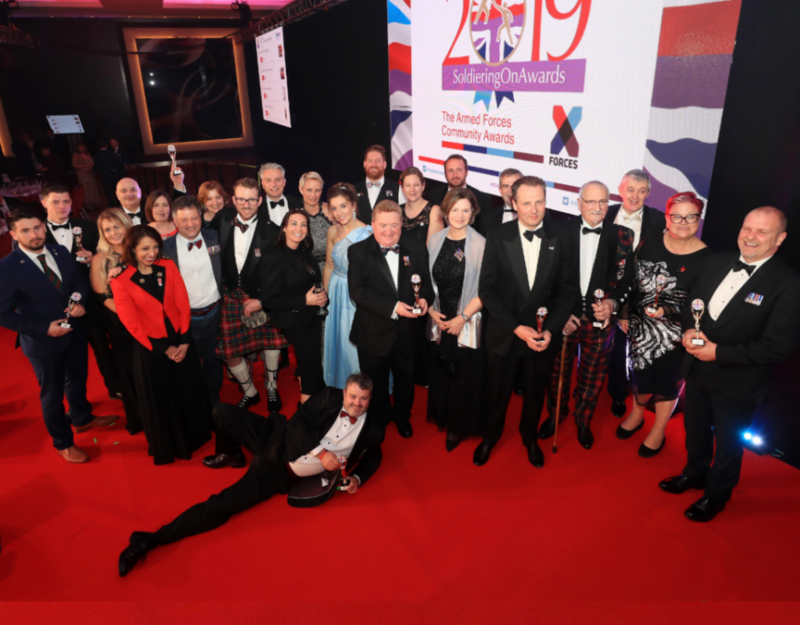 This recognises the work and determination to bring enterprise training to a new audience, creating a deserved platform for the UK Military Widows to achieve their ambitions. I hope that this recognition will boost the beneficiaries’ confidence even further and inspire others to follow their entrepreneurial ambitions. Thank you to longstanding partner NatWest, the four Widows’ Associations and of course to Forces Pension Society Charitable Fundfor their support, and we look forward to welcoming cohort three in April. Our #XFSuccess businesses celebrated their own successes throughout the year including former RAF Intelligence Officer Rosie Phelps-Goggin, co-founder of Doddl, who won ‘Start-Up Business of the Year’ at the Soldiering On Awardsand both ‘Family Business of the Year’ and ‘Inspiring Entrepreneur of the Year’ at the StartUps Awards. 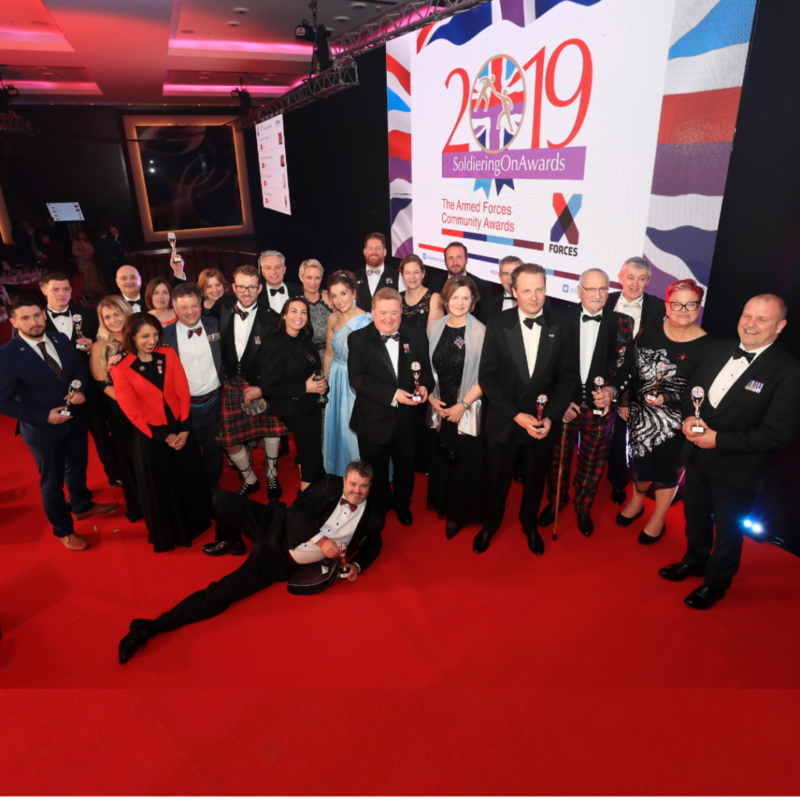 Also celebrating success were former Royal Marines Peter Kelly and Kieron Yeoman, co-owners of Imployable, who won the ‘Entrepreneurial Spirit Award’ at the NatWest Great British Entrepreneur Awards for Wales and the South West. Furthermore, former RAF officer Hannah Saunders, founder of Toddle skincare, won £50,000 investment at the first Pitch It Wales. This will make an incredible difference to her ambitious business plans. I have also been honoured to present various awards through the year which provide an inspiring and humbling insight into the great work being conducted in areas close to my heart such as enterprise and diversity. For example, co-presenting with General Duncan Capps the Inspire Award at the GG2 Diversity Awardsencapsulated sentiments of achievement, recognition and, of course, inspiration that are at the forefront of any awards ceremony. 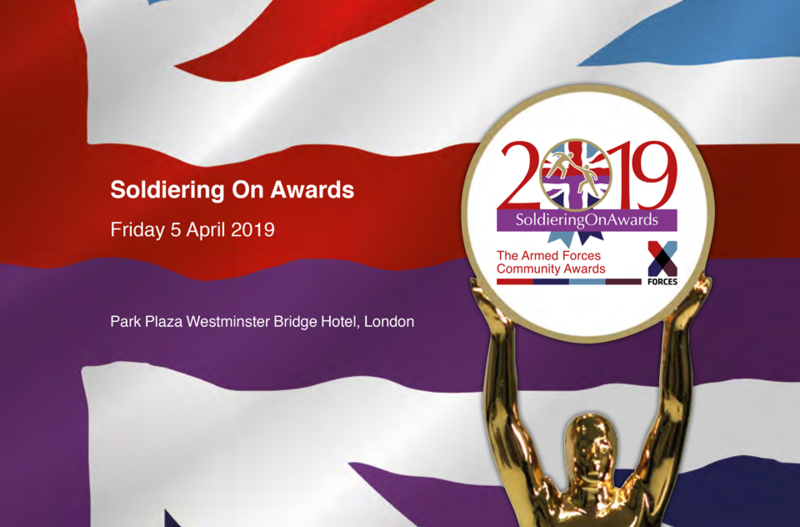 Continuing the theme of awards, the Soldiering On Awardsjudging is in full swing! All categories have been sponsored, with some big business names getting behind the awards. 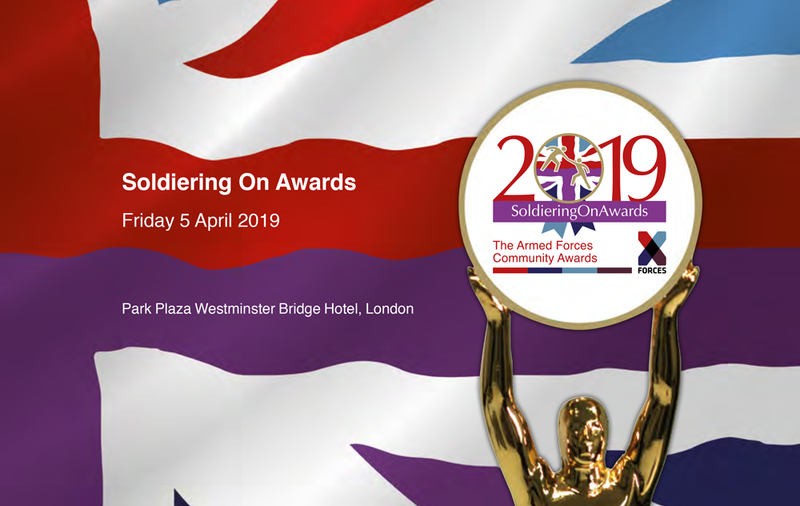 We received the most nominations in the history of the awards this year which is representative of the excellent work undertaken by our military community and their propensity to go above and beyond in all regards. Finalists will be announced in early January so watch this space. 2018 also saw a real push of our Big Business supporting Small Business (BBsSB) agenda. Lord Young and General Richard Nugee have been instrumental in bringing together big business names that are active in the enterprise agenda, building engagement and awareness and supporting sustainability through mentoring and knowledge exchange. A great example of BBsSB and highlight of our year was our 5thbirthday celebrationsheld at the London Stock Exchange. We were delighted to be joined by our Patron Lord Young and Secretary of State for Defence, The Rt Hon. Gavin Williamson, to open the market. 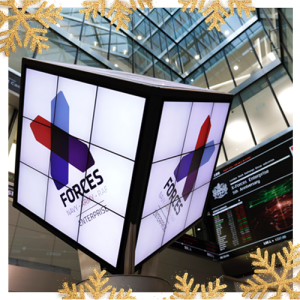 In keeping with BBsSB theme, our Big Business partner, the London Stock Exchangeannounced that XFE beneficiary, and former Soldier, PJ Farr of UK Connectwould be enrolled into their Elite Programme to support him towards a potential future listing on the London Stock Exchange. We are confident that could really happen, especially now with their support. Congratulations PJ. Our ability to support small businesses has also been strengthened through my appointment as Armed Forces Champion for the Federation of Small Businessesby FSB Chairman Mike Cherry. 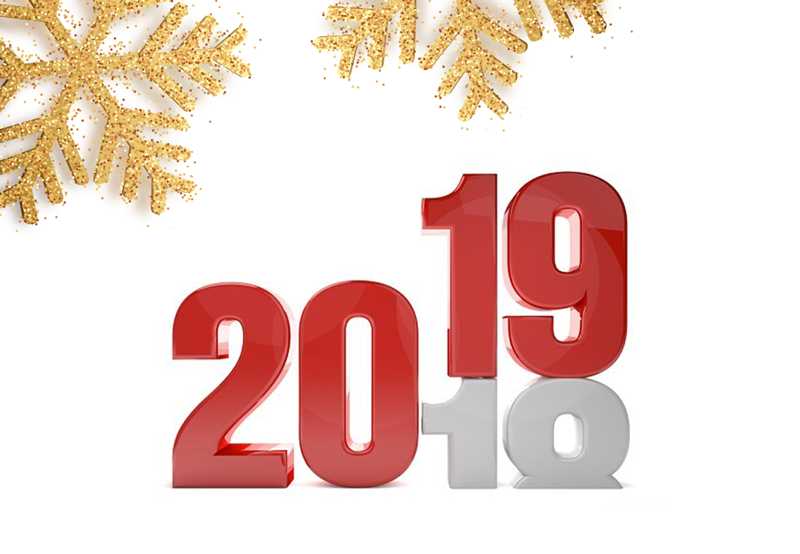 Our Chairman Martin Wing is working with FSB Chief Executive Julie Lilley on programs that will provide leadership and ongoing knowledge for the community in 2019 and beyond, details of which we look forward to sharing in the coming year. I am also proud to announce that we shall also be extending our support further within the Armed Forces community through our Cadets in Enterprise programme. This has been almost two years in the making and we are very excited about the progress. I met with the Secretary of State the Rt.Hon Gavin Williamson, General Richard Nugee and General Duncan Capps this month to begin to turn this vision into a reality in 2019. Our Patron and my mentor, Lord Young, is also passionate about young people having access to enterprise so this project is not only close to his heart but has his strongest endorsement. We are really excited to announce that our first Cadets in Enterprise workshop will be launched in Q1 of 2019. 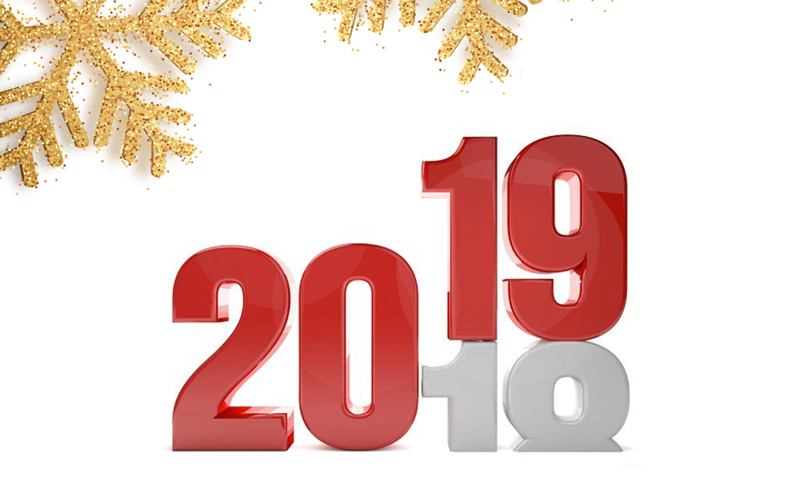 Overall, 2018 has been a brilliant year for XFE but none of this would have been possible without the collaborative efforts of those we work with. From our wonderful beneficiaries, to our supportive big businesses, charities and government partners, including the Ministry of Defence and British Business Bank, I thank you all. The collaboration between all these entities enables us to realise our aims so effectively. Their unfaltering support for our Armed Forces community and shared ambition is crucial to our success and this gives me the encouragement I need to continue growing X-Forces Enterprise. I can proudly say that, since our launch, we have supported over 1350 businesses and facilitated over £13m in seed funding. We are looking forward to extending this support even wider next year. At the heart of everything we do is making a difference to those who have served and their families and embracing that passion by bridging the gap between the military and civilian world for betterment through enterprise. Finally I would like to take this opportunity to thank each and every one of you for your support and your contribution to this year’s achievements as part of our #XFEfamily. Particular gratitude goes to my amazing XFE team who have made all this happen for our beneficiaries and their families. I wish you a peaceful Christmas and prosperous New Year and hope you enjoy the festive break whether you are spending time with family and friends or enjoying some quiet time for yourself. 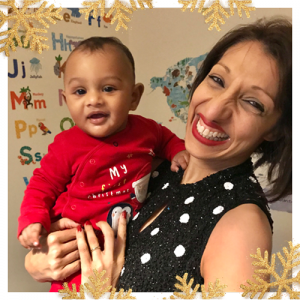 Personally, I am looking forward to Christmas as a newly appointed Grandma and will be spoiling my grandson Rohan on his first Christmas.